Hey guys, I hope everyone is having a great week! 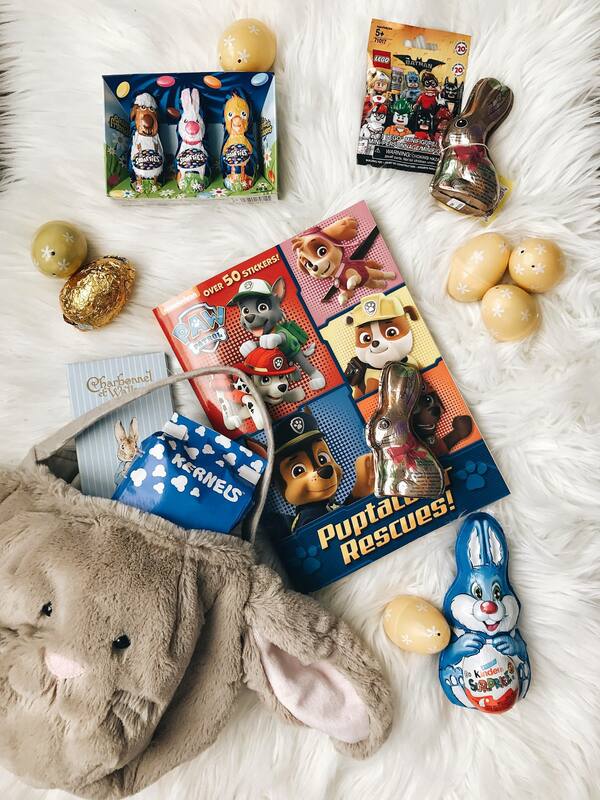 With Easter just around the corner I want to share with you my go to items for curating the perfect Easter baskets for kids. 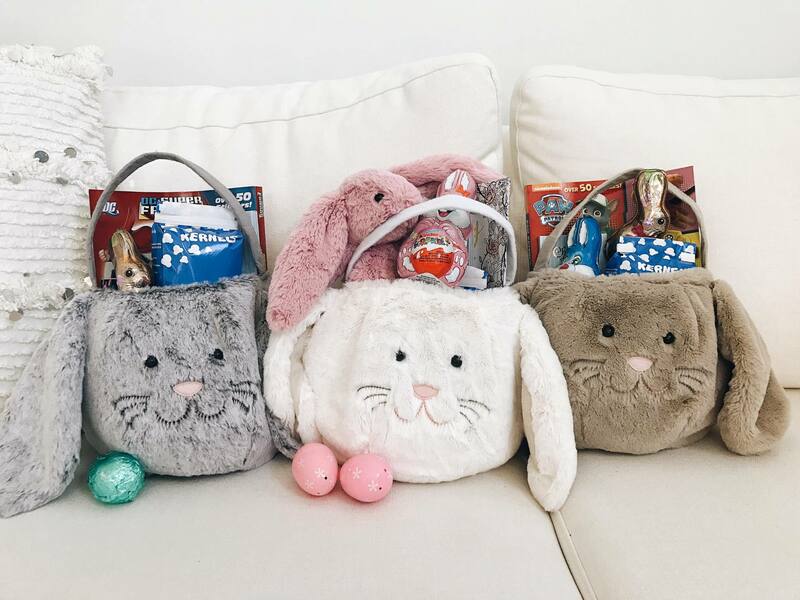 I picked up these little treasures at the Oshawa Centre so if you’re looking for inspiration, it’s an easy one stop shop for all of your Easter basket needs. For Our Easter baskets and egg hunt we try not to go overboard. I think the magic is in the hunt and not the “gifts”. I pick up plastic eggs that open up from Dollerama so we can put little toys or candy inside. They come in a few different colours so we assign one colour to each of our kids so they know when they are looking for eggs only to take the colour that belong to them. This is such a life savour and avoids any aguing over who found what and how much belongs to who haha – because you know that’s bound to happen. In our Easter baskets I like to include a colouring book of something they are really interested in. For Austin that’s superheroes, Max is loving Paw Patrol and Zoë is Beauty and The Beast…ok, OK she’s too you to really be into anything so I just picked that for her out of my childhood love for the movie. Kernals popcorn is always a win in our house so I like to get a little grab bag for their baskets. I also found these cute, and oh so nastalgic, Peter Rabbit chocolate bars at Chapters Indigo. 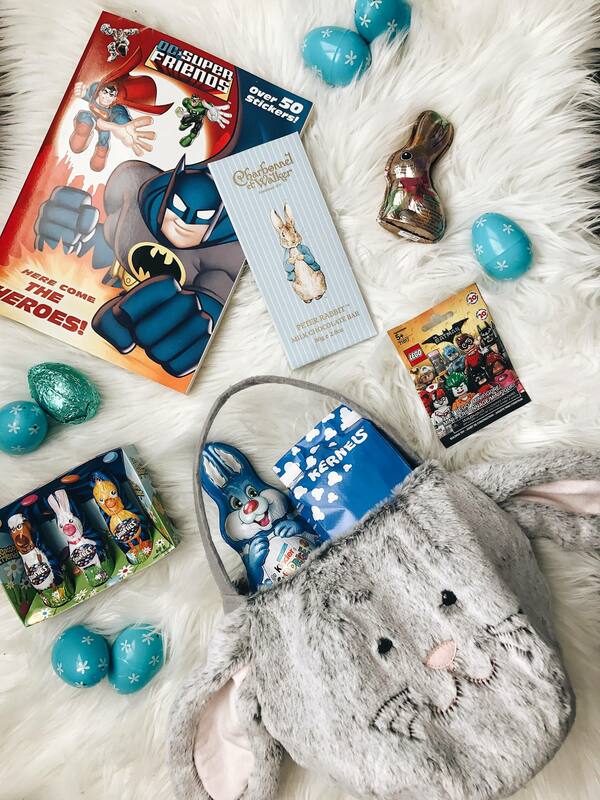 Smarties and Kindereggs from Shoppers drugmart are always a favourite but we love to add some Purdys and Laura Secord chocolate because the quality is out of this world! 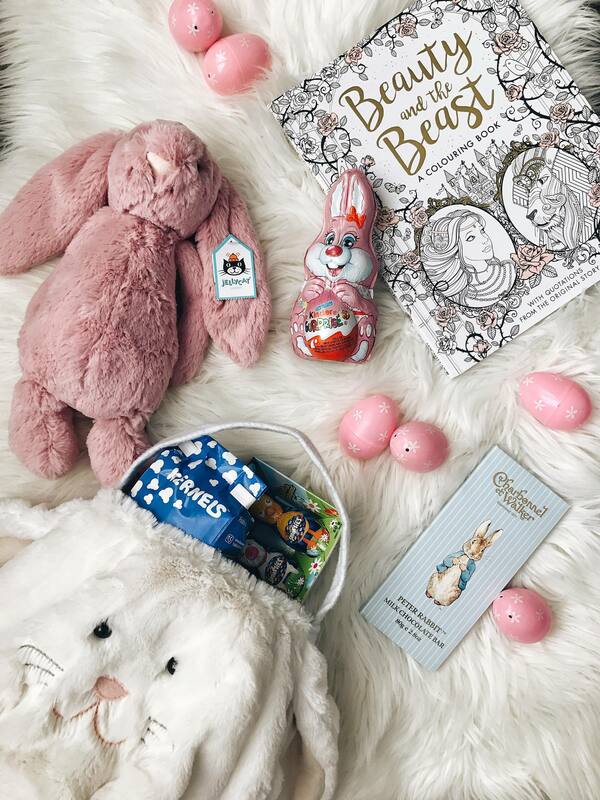 We try to stay away from big gifts so I found this adorable little blush pink bunny at Chapters Indigo for Zoë. For the boys I picked up those little Lego mini figurines. The packaging is so small that I can actually stuff them into the plastic eggs from dollerama. It’s great to add things like this to the little eggs so it’s not all junk. They get more than their fair share of candy over the Easter long weekend. I’d love to hear your Easter traditions! What do you add to your basket? Do you do anything fun to make the hunt more interesting? Previous Post Celebrate this National Grilled Cheese Day with Walmart’s Great Value!